A life insurance policy may provide a way for you to make a much larger contribution to cancer research and patient care than you ever thought possible. As your life evolves, your need for life insurance may as well. Name MSK as the recipient of all or part of the proceeds of a life insurance policy that is no longer needed for family protection. Contribute a paid-up policy during your lifetime, resulting in a charitable deduction if you itemize for an amount approximately equal to your policy's cash surrender value. Depending on state law, purchase a new life insurance policy in which you name MSK as owner and beneficiary or co-beneficiary. Name Memorial Sloan Kettering Cancer Center (MSK) as a beneficiary of all or a percentage of the policy’s value. 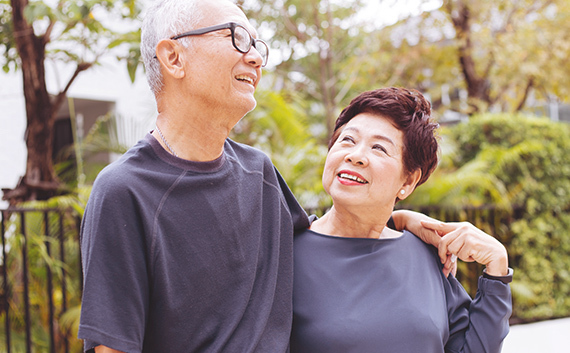 A savings account or certificate of deposit can provide immediate support to MSK after your lifetime when you name MSK as a beneficiary on a payable-on-death account. It's easy. Just ask your bank representative to explain the one or two easy steps you need to take. Avoids delays or unnecessary expenses to your loved ones. Name Memorial Sloan Kettering Cancer Center (MSK) as a beneficiary of all or a percentage of the account's value. Donations of retirement account assets are among the most tax-smart gifts you can make to MSK. Although IRAs and 401(k) accounts are excellent vehicles for accumulating assets for your use during retirement, they are far less effective for transferring wealth to your loved ones. Those who inherit your retirement plan assets could see up to 37 percent of the value depleted by federal income taxes. The only exceptions are distributions from a Roth IRA, which are usually tax-free, and distributions on nondeductible contributions made to a conventional IRA. If you choose to contribute all or part of these assets to MSK, however, our status as a nonprofit organization means that we can use 100 percent of your gift to support our lifesaving work. Name Memorial Sloan Kettering Cancer Center as a beneficiary of all or a percentage of the plan’s value. Create your legacy with our complimentary guide, or browse the information on this page to discover how to make a gift through a beneficiary designation. If you are 70½ or older, you can make an impact today by transferring any amount up to $100,000 directly from an IRA to MSK without tax complications. Contact the Office of Planned Giving at 800-688-1827 or plannedgiving@mskcc.org for additional information on beneficiary designations and how they can help support MSK with our mission. Talk to your financial or legal advisor to learn which assets will or will not trigger taxable income when paid to a beneficiary.